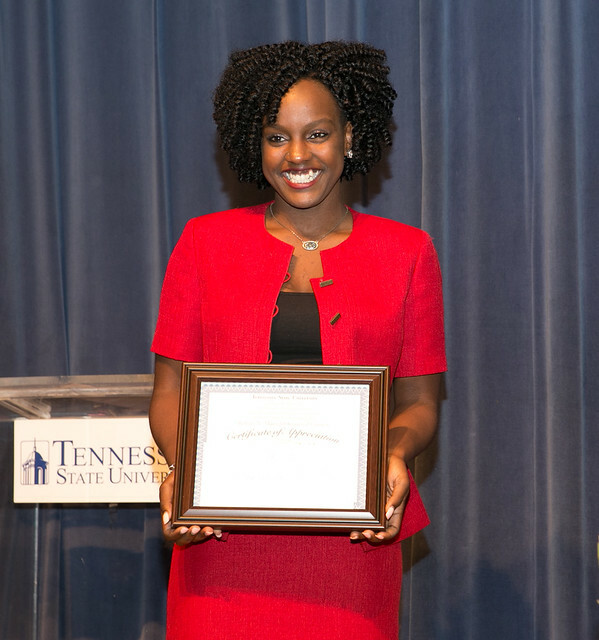 TSU Forensics team have won over 3,000 total lifetime awards. From theatrical set construction, working on an advertising campaign, participating in a 48 hour film challenge, covering a news story to developing an effective corporate presentation. At TSU we stress a hands-on approach to learning in a multi-media environment. C-MAP includes: The TSU News Network, WTST, TSU TV, Tenn State IMC Agency, PAC House Productions, the BluePrint (online magazine), and The Meter (newspaper, housed under Student Affairs). Our faculty bring a blend of scholarly activity and creative professional work to the classroom. Students also learn each other through their work in extra-curricular and co-curricular activities that complement formal instruction. TSU TV News, Sports and Entertainment programs are produced by students in a state-of-the-art studio with two studio sets and a multi-row control room. Video news and production now features 18 Avid or 16 Final Cut Pro video edit work stations. WTST, Tennessee State University Campus Radio, is our student-run radio station and is open to all students. The station is now in brand new facilities. Students have won hundreds of awards in recent years. The program now features an annual student 48 hour film challenge. In new media, the TSU News Network is a new entity involving the multi-platform distribution of student media. The theatre faculty and students produce two major productions per year. Theatre was selected for national recognition for 2 productions, Ruined and Lady Day at Emerson's Bar and Grill. The theatre program is rich in its history and uses the beautiful Cox-Lewis Theater as its centerpiece. Communication Studies promotes the responsible use of communication as a tool in a variety of situations: interpersonal, small group, intercultural, and corporate settings. Students gain an understanding of how communication serves as the organizing feature of relationships: interpersonal, work, societal and more. At the TSU Department of Communications, we're small enough to know you, big enough to challenge you and diverse enough to stretch you. We've been in the communications education business for many years, not only adapting to, but leading the changes in our remarkable field. We look forward to meeting you and hope you will join us in your journey. Contact us for more information or with any questions you have.